Mehbooba Mufti recently visited the families of militants in South Kashmir. After her government fell in June 2018, former Chief Minister Mehbooba Mufti took almost six months to come out of the insulated enclosure over Gupkar. 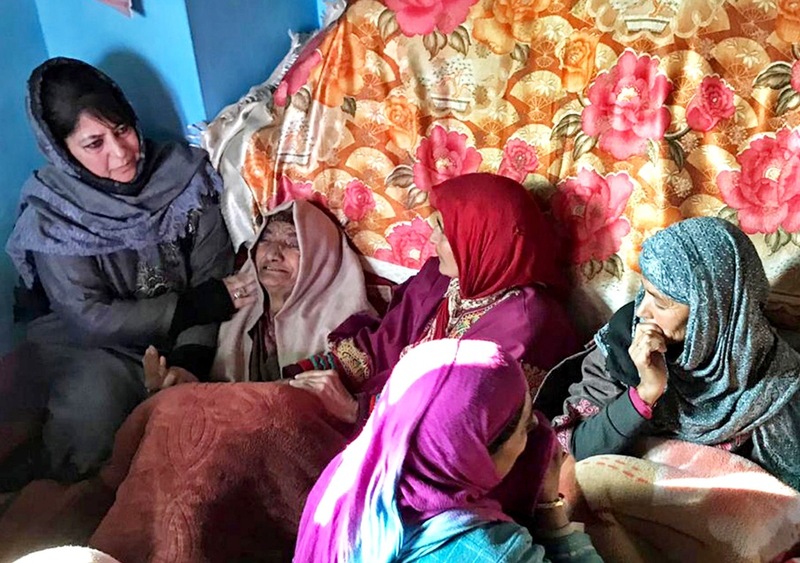 When she came out, she did the unthinkable − at least by present political standards − and visited militant families in south Kashmir, the region that saw the highest number of militant and civilian killings during her rule. Both visits, which were equally lauded and criticized, helped Mehbooba break the ice accumulated since PDP joined hands with BJP in 2014. It came in wake of serious ongoing efforts aimed at undoing the party her father founded in 1999. In December 2018, PDP held a key meeting to dole out specific strategies ahead of the state and Lok Sabha elections likely to be conducted this year. Reportedly, the prevailing situation in south Kashmir was duly discussed; a mainstay of the party’s political campaign before the elections. Apart from Mehbooba Mufti, the meeting was attended by the party’s entire south Kashmir leadership. It had prominent absentees indicating the crisis the party was facing. On January 7, 2019, Mehbooba addressed a gathering of party workers on the sidelines of her father Mufti Sayeed’s third death anniversary, in Bijbehara town. The event was seen as a precursor to her party’s upcoming election campaign. Mehbooba talked about her recent visits to families of militants in Pulwama and Shopian, and also apologised for her infamous ‘toffee, milk and camp’ remark she made at the peak of 2016 killings. But there were only a few takers as south Kashmir had witnessed a record number of civilian and militant killings in her rule. But the question that almost everyone seems to ask is how much just two visits are going to change on the blood-soaked grounds of the south! Incidentally, both the visits were an outcome of PDP’s failure in managing peace with the security grid. In one case, a militant family’s civilian members were arrested. The other family was also facing a similar situation. Whether or not the visits helped the families, it triggered a response from the system. “We have been asked not to move unless the security grid permits,” one insider said. Shopian, like other volatile districts of South Kashmir, have already put an eye-opener. During recently held municipal polls, official data suggest that there was not even a single nomination in five of the 17 wards in Shopian. In the remaining 12 wards, one candidate each was elected unopposed. Most of them were BJP nominees. The same thing was repeated during Panchayat polls there. 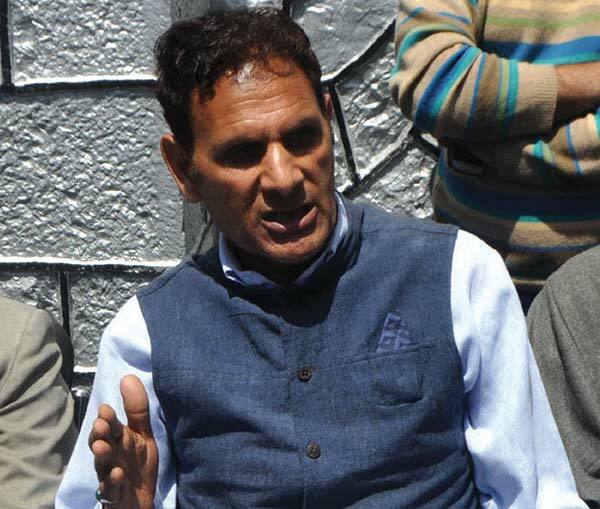 But PDP’s former lawmaker from Pulwama, Mohammad Khalil Band, is confident that his party is going to sweep the upcoming polls, whenever they are held. But, interestingly, he doesn’t know any specific strategy to approach his respective electorate. “I haven’t started campaigning yet, but I will campaign the same way as I have done in the last election,” said Band in a very nonchalant manner. A same casual response came from PDP’s senior leader Abdul Rehman Veeri, who successfully contested 2014 assembly elections from Bijbehara. The reason for such a widespread disconnect among people could be because of continuous bloodshed since July 2016. Apart from militant killings, in 2017, 108 civilians were killed across Kashmir, which rose to over 150 civilian killings in 2018, and most of them took place in south Kashmir. Besides, the day-to-day cordons, the suspension of internet services and unnecessary hassling of the common populace had been the norm in the area. Abdul Majeed Padder, who represents PDP from Noorabad said he has not moved out of his Damhal home ever since the assembly was dissolved. But once he starts meeting his voters, Padder has a list of issues ready – Article 35A, Article 370 and the joblessness among the youth. But Padder too has reservations about the early polling, as he could gauge from his occasional interactions with his workers in the last few months. The PDP’s existential crises have emerged as an advantage for its competitors. Shabir Ahmad Kulay, who fought unsuccessfully on an NC ticket from Shopian, says he has voluntarily given up his two security guards as he feels safe among his people. Even though there is “no chance” of holding public meetings, Kulay said they have been holding indoor meetings with people. “Through our workers, we first check the mood, and then we go and hold meetings at their places. We are holding meetings frequently,” said Kulay. From Homshalibug constituency, Abdul Majeed Larmi of NC shares a similar story. He believes that people are fed up with the governor’s rule, and want an elected government soon. “The BJPDP rule brought innumerable miseries in South Kashmir, and after that, the governor rule showed no going back from the trend; the only thing people want now is an elected government of NC,” Larmi said. He said that attempts are being made to defer the elections, but we will try our best not to let it happen. Ideally, assembly elections must take place before May 21, 2019. Election Commission has started the process and is awaiting Home Ministry inputs about the situation. If the elections are held anyhow, Bhat said that PDP has taken a unanimous decision to field the candidates who had won during the 2014 assembly elections. Out of 16 seats in the last elections, PDP had won 12 seats.